Please drop us a note below and we will get back to you shortly! 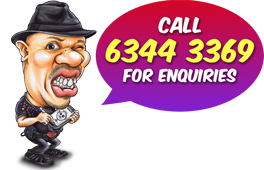 Tel: (+65) 6344 3369Email: Admin@cartoon.sgAddress: Kamal’s Artshop Goodman Arts Centre 90 Goodman Road Blk E #03-31, Singapore 439053Office hours: Mon – Fri 9:00am -6:00pm. Extended on Wed till 9:00pm Closed on public holidays.Note: This is an artist studio and not a walk-in retail shop, do call before coming.